join us as we make a project for our bigfork school teachers! ladiesconnect! 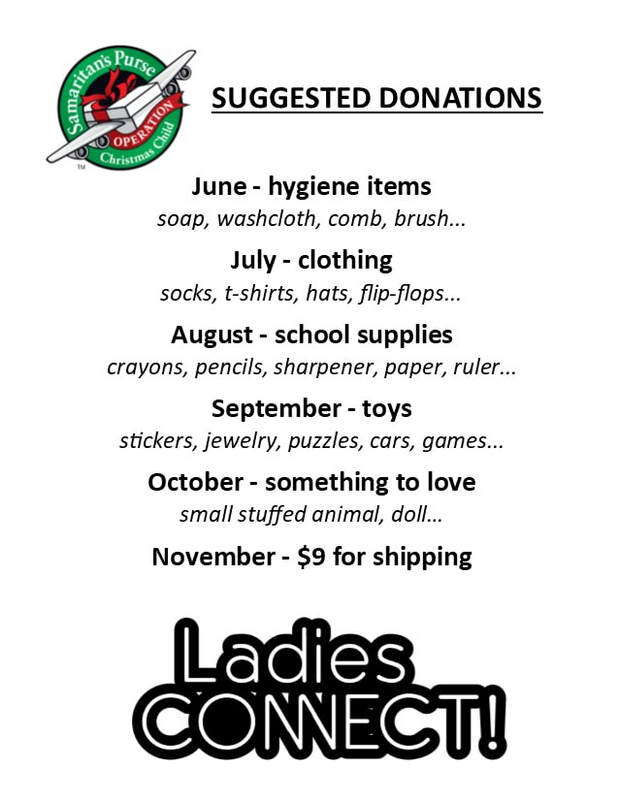 gathers items for operation christmas child throughout the year. below is a list of suggested donations. visit www.samaritanspurse.org/occ for more information.